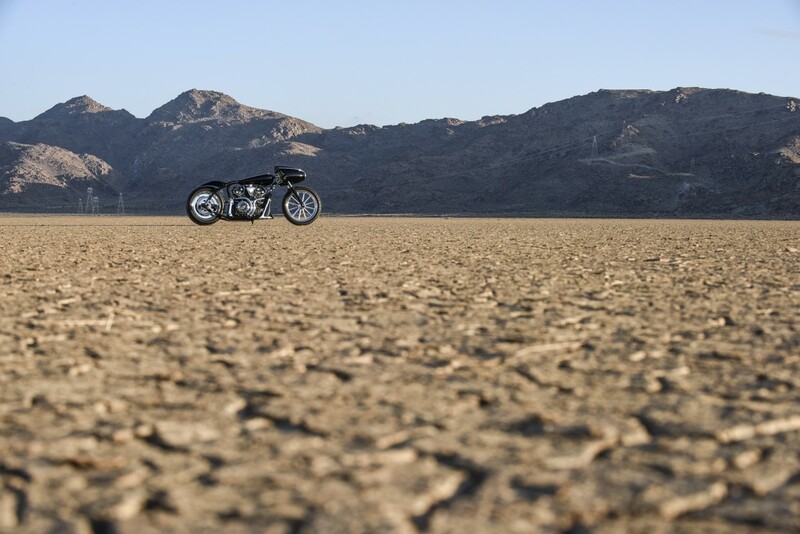 The legendary Indian Scout name has been a part of many stories throughout history, powering Burt Munro’s dogged pursuit of a world land speed record at the Bonneville Salt Flats. 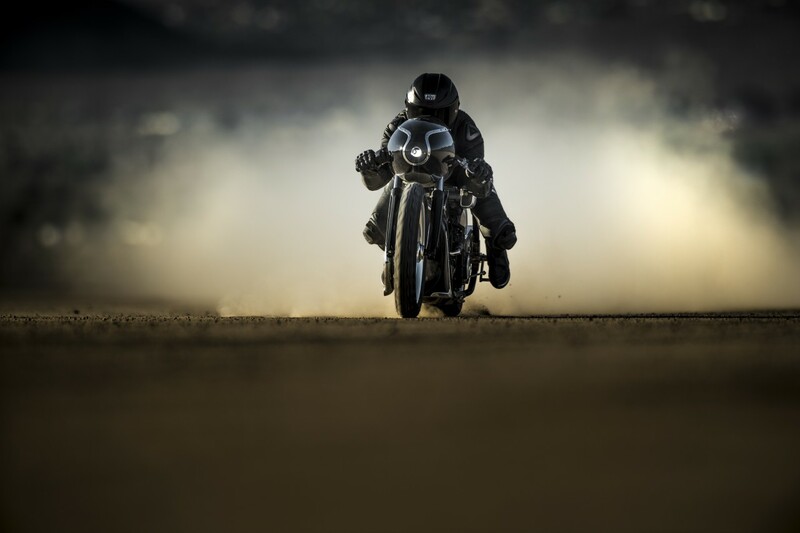 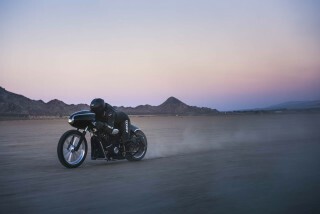 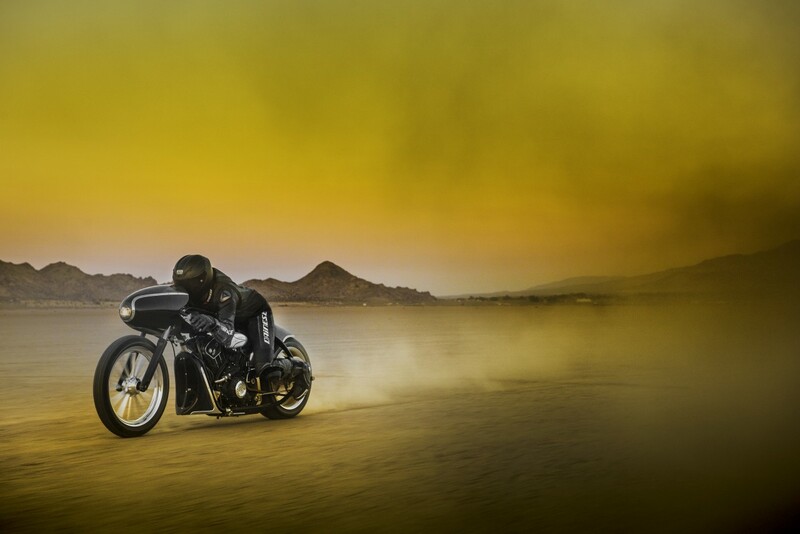 As a tribute to our past and the legendary power of this bike, Indian Motorcycle presents the custom Land Speed Scout, coined the “Black Bullet Scout”. 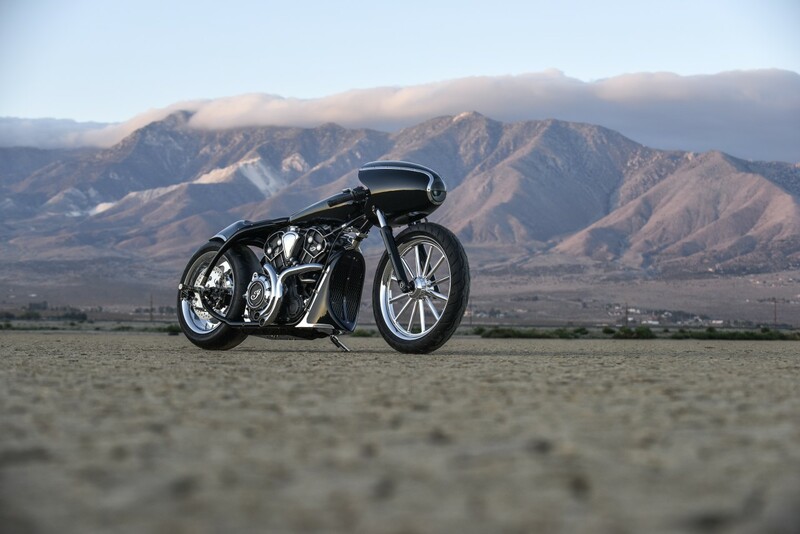 This custom Indian Scout was built by Jeb Scolman – the same hot-rod artisan who was responsible for building the Spirit of Munro to celebrate the launch of the ThunderStroke 111 engine in 2014. 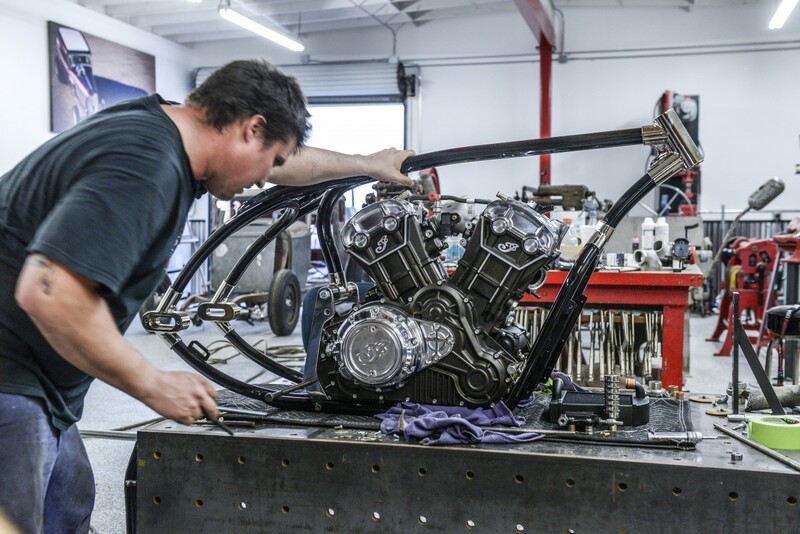 Jeb was delivered an Indian Scout engine and the simple instruction to build what he wanted. 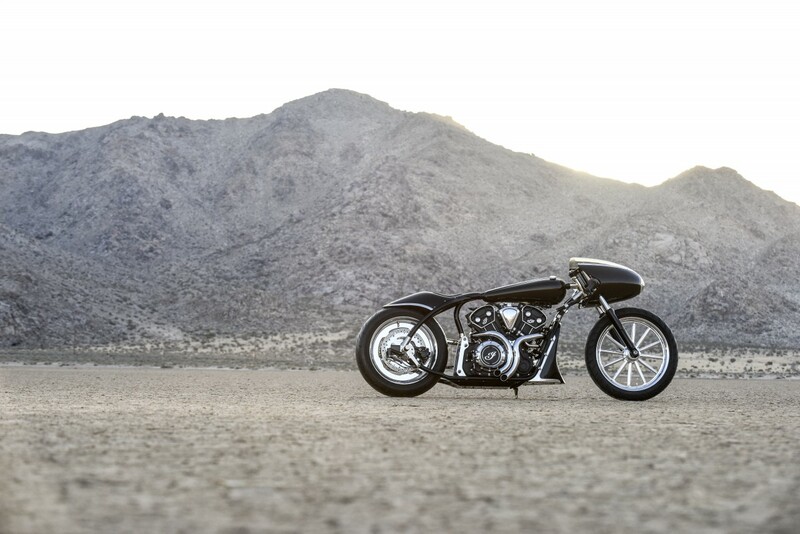 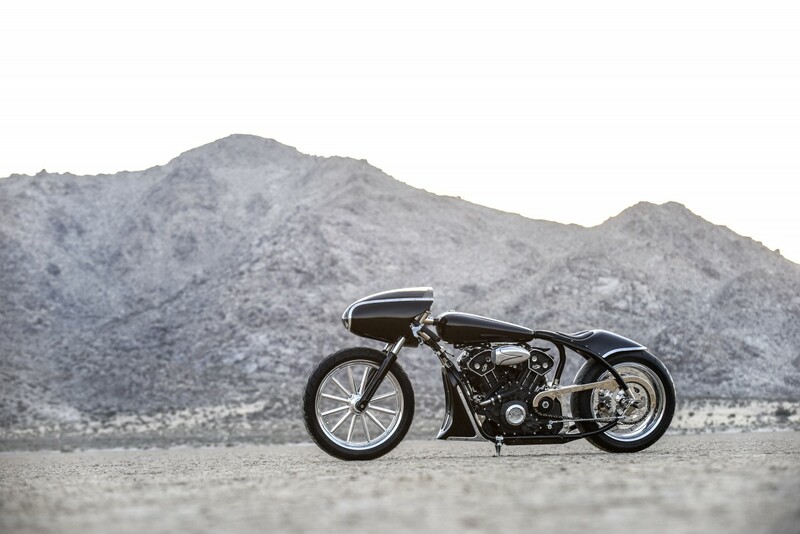 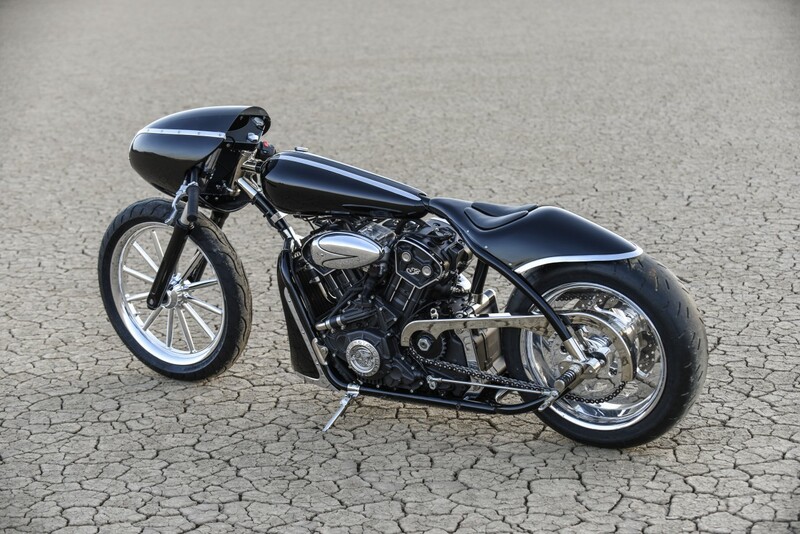 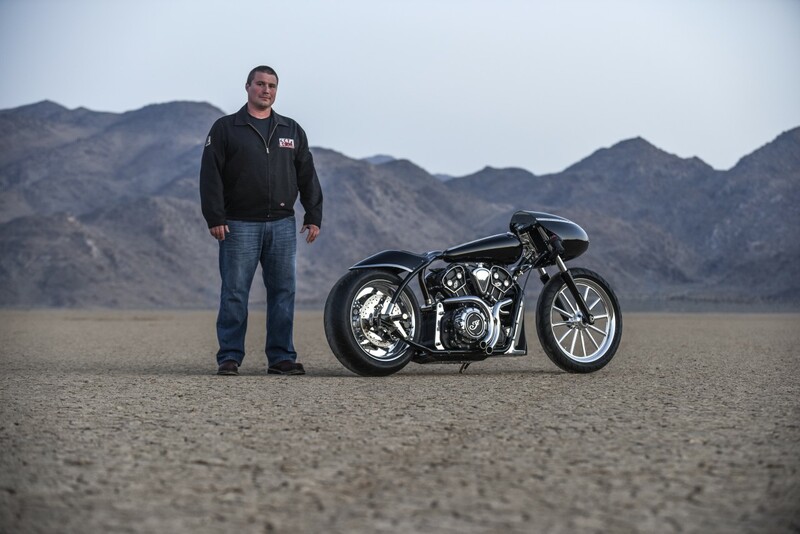 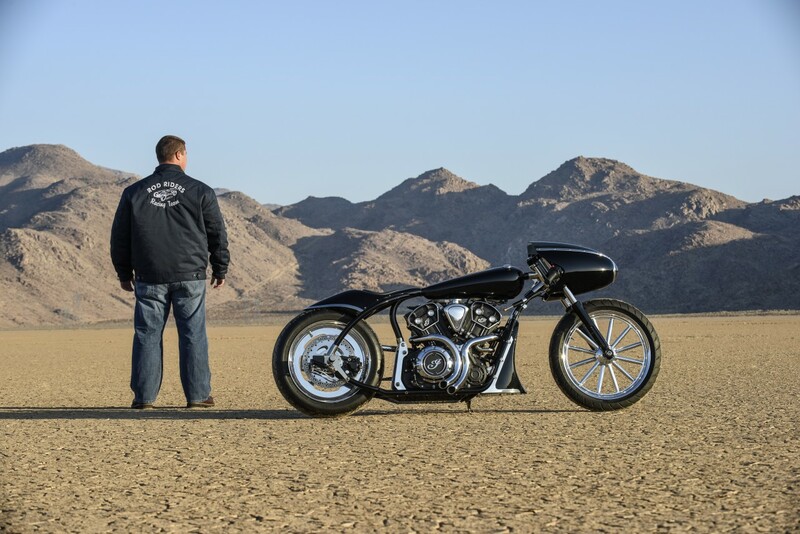 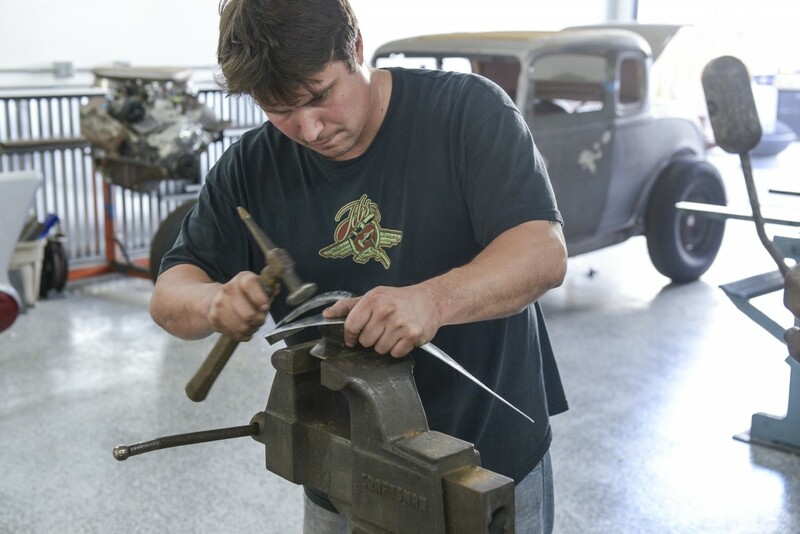 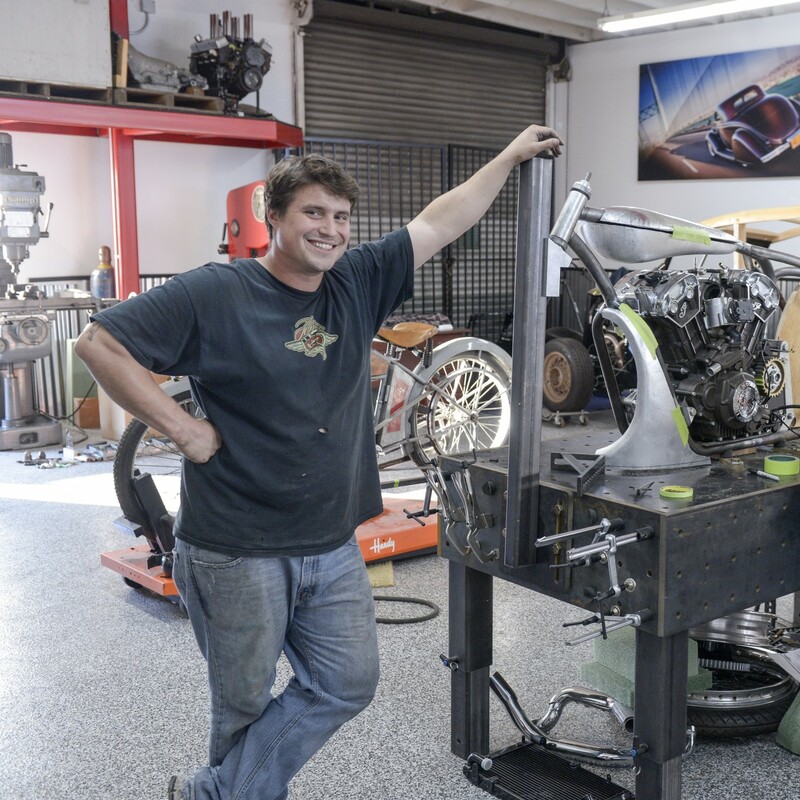 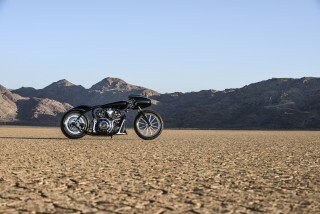 His flawless 100% custom metalwork picks up on the designs of pure speed motorcycles from the late 50’s and early 60’s with a fork mounted bullet fairing and the most minimal frame possible. 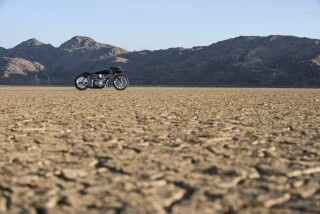 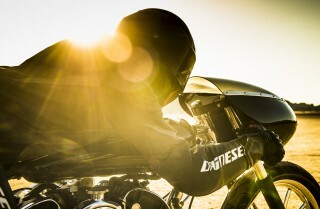 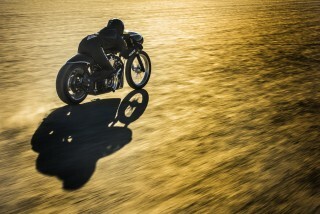 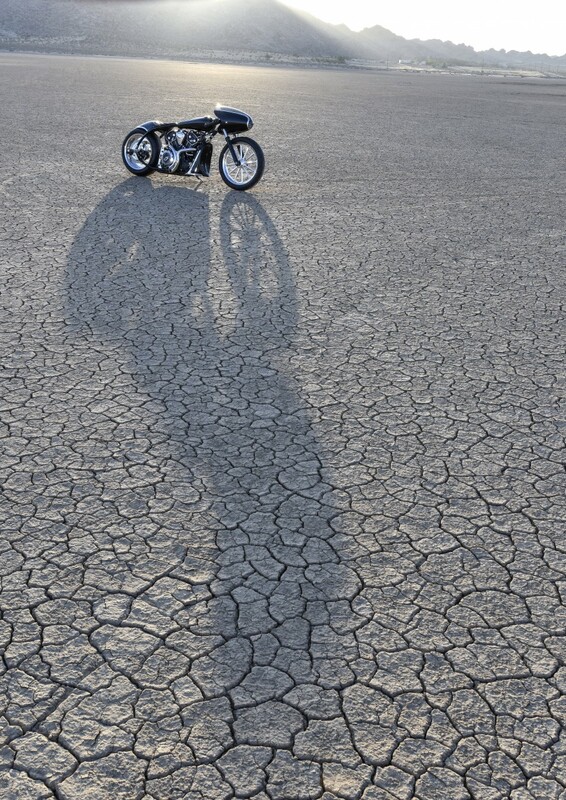 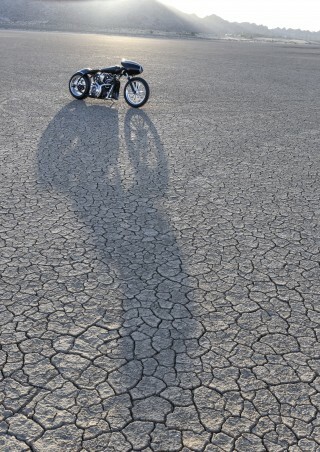 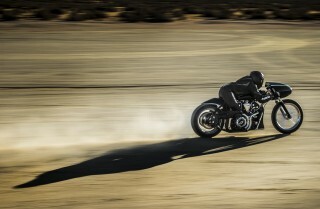 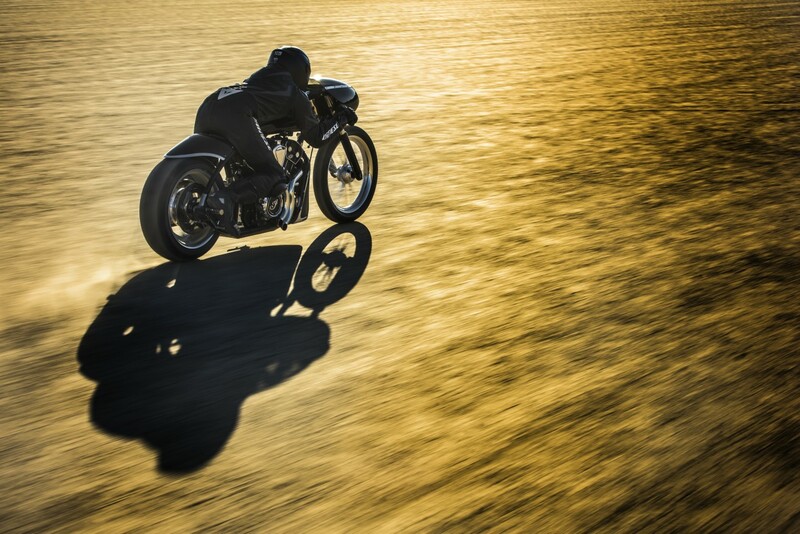 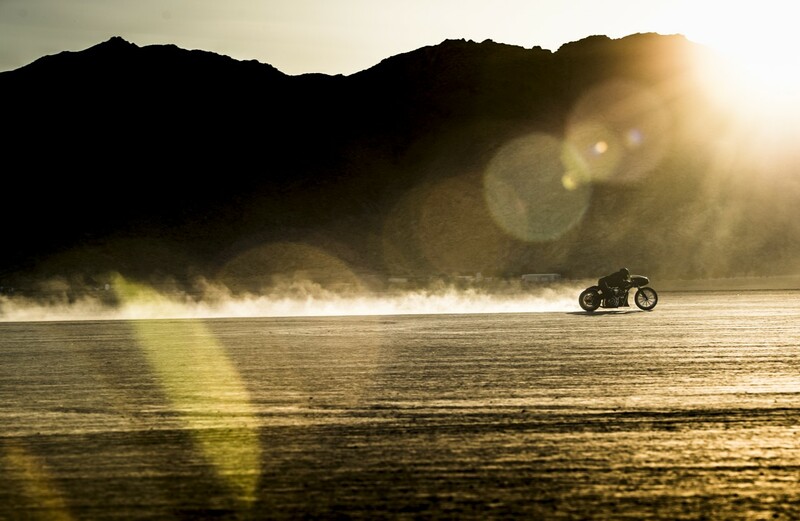 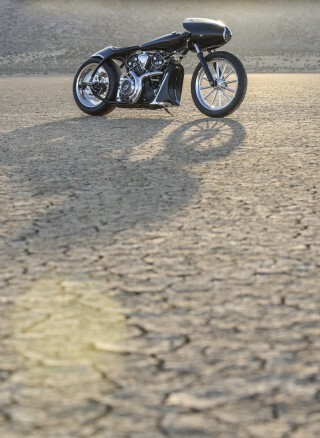 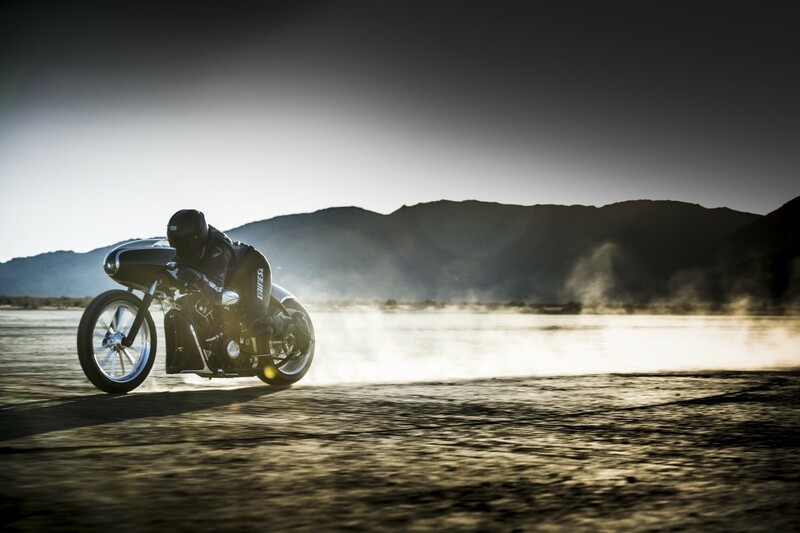 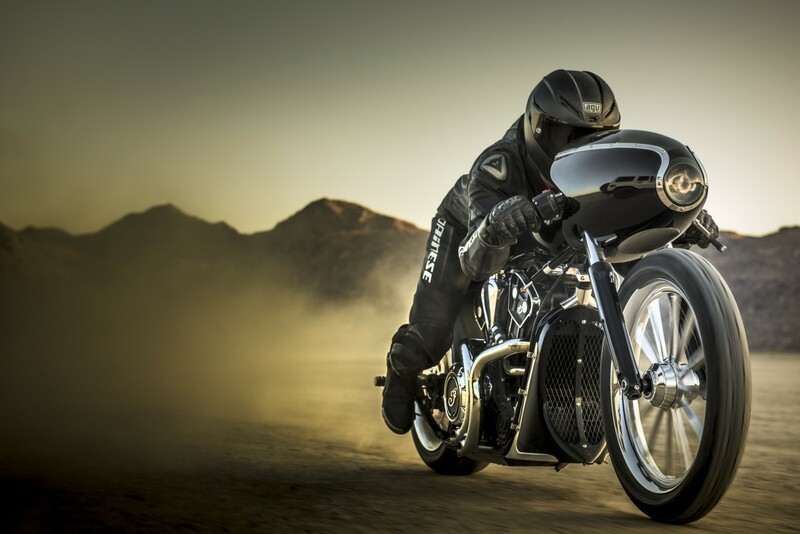 Bikes with this silhouette took to land speed and drag racing tracks across the country. 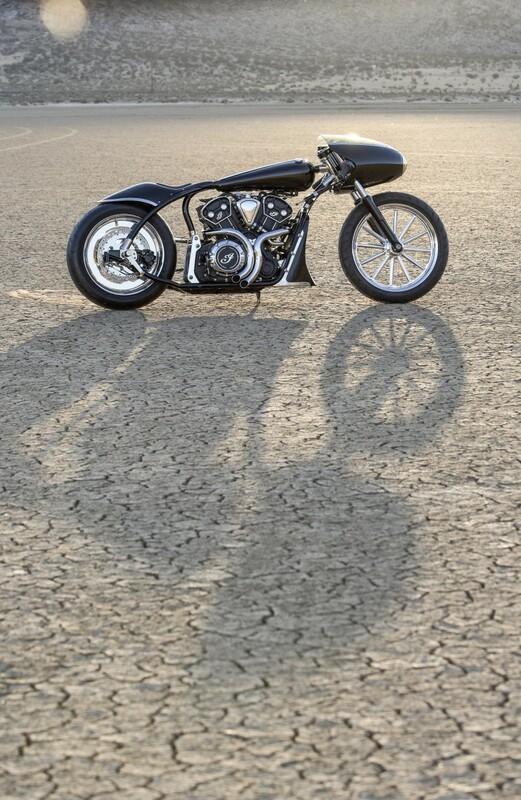 The post-war hot rod crowd was using airplane drop tanks for racecars and motorcycle racers started to adapt aircraft nose cones to help them cut through the air. As the bike took shape Jeb started calling it the “Black Bullet”. 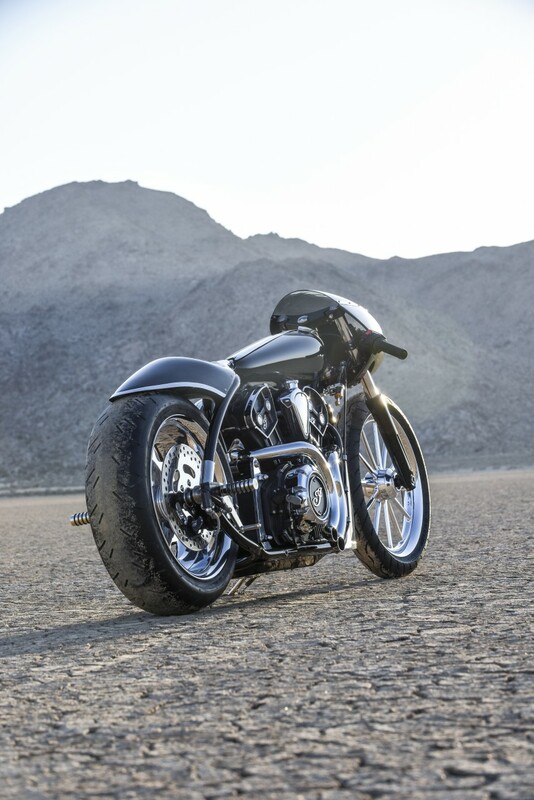 The minimal body and stout but seemingly simple frame are wrapped around a 1200cc Indian Scout engine as tightly as possible. This is one small motorcycle. 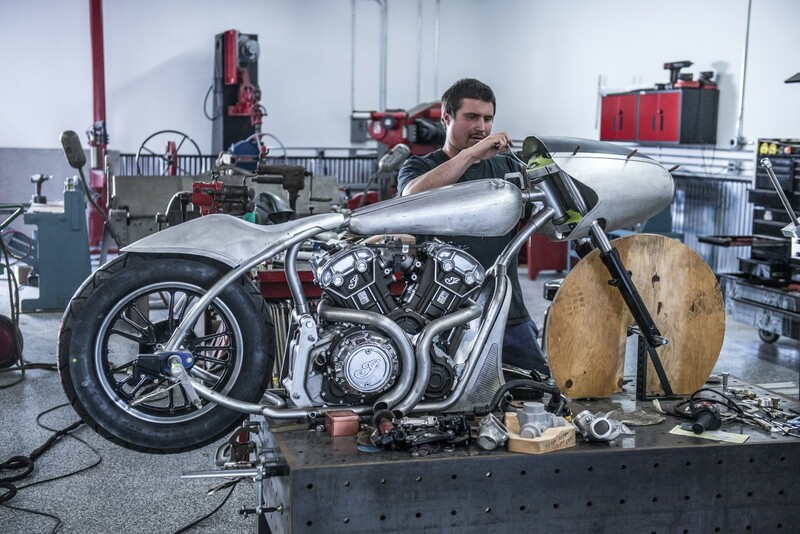 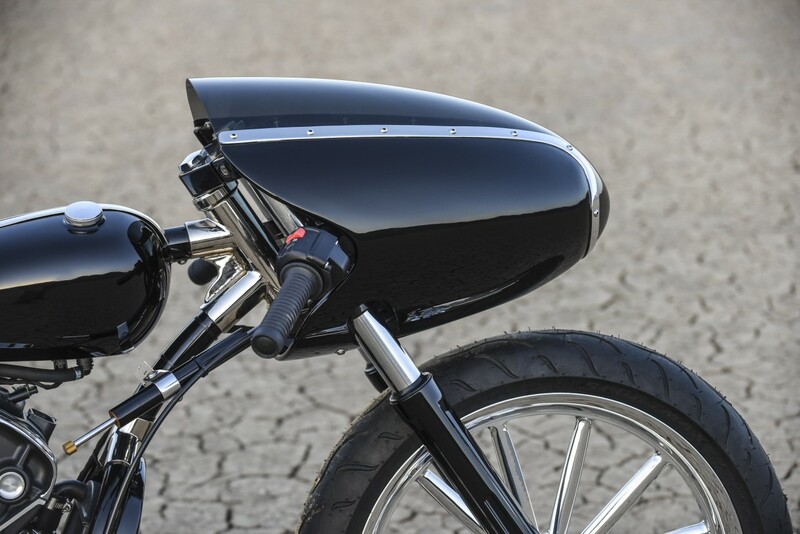 The all-custom, all-metal, and all hand-made bike features a custom windscreen that wraps around the front of the bike to fair in the headlight. 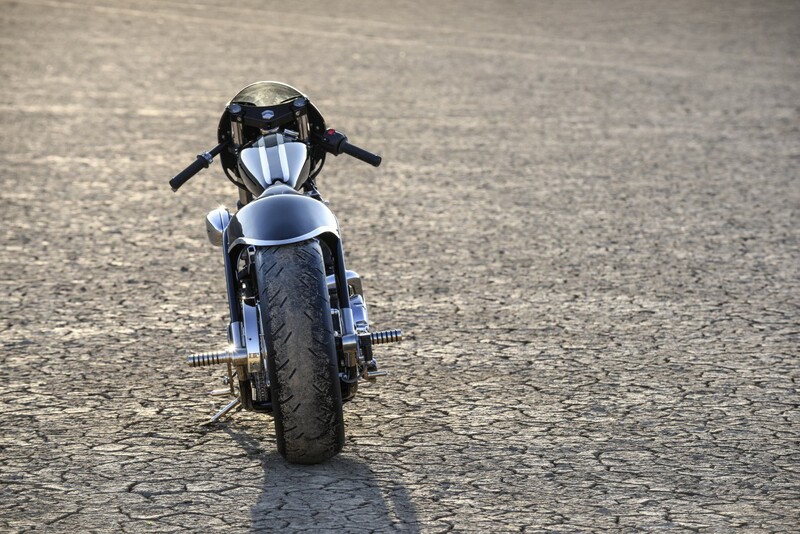 Tight clip-ons and footrests mounted to the rear axle makes for as streamlined a riders position as possible. The minimal seat, controls and shapes all lens themselves to the single mission of exploring this bikes top speed. 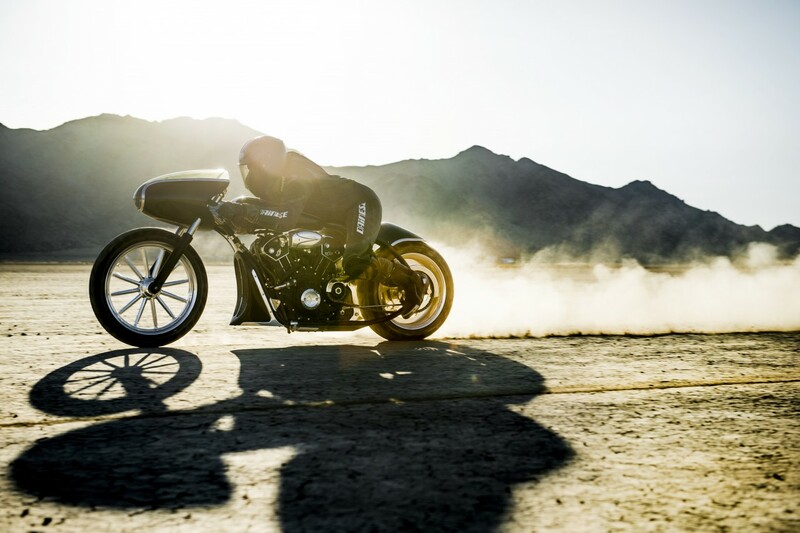 It was created to be beautiful and fast. 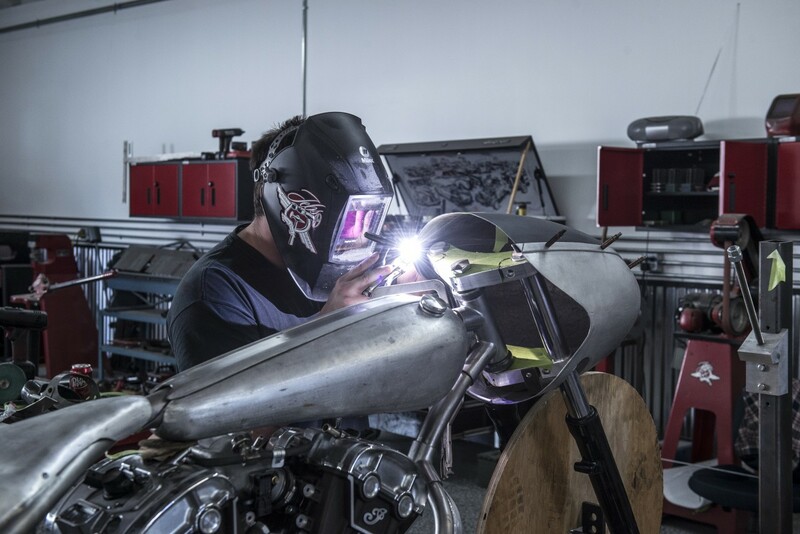 Scolman even cast a custom intake manifold to turn the throttle body sideways and allow for an even tighter engine packaging. 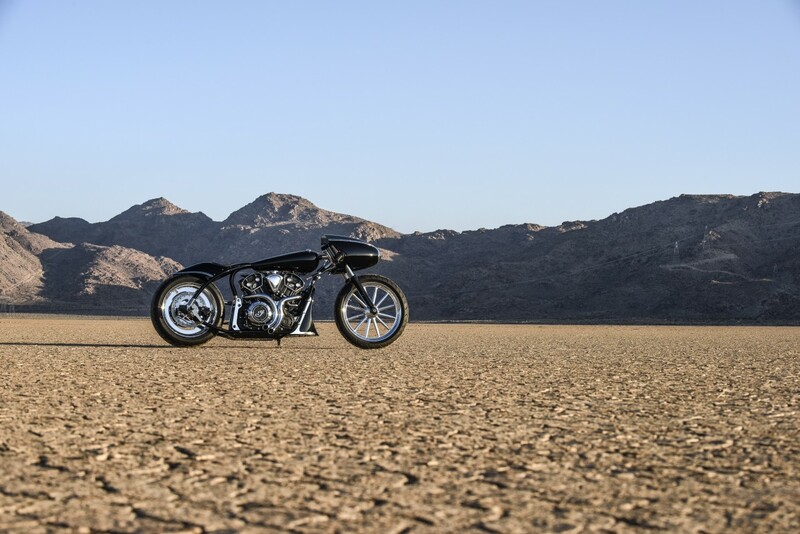 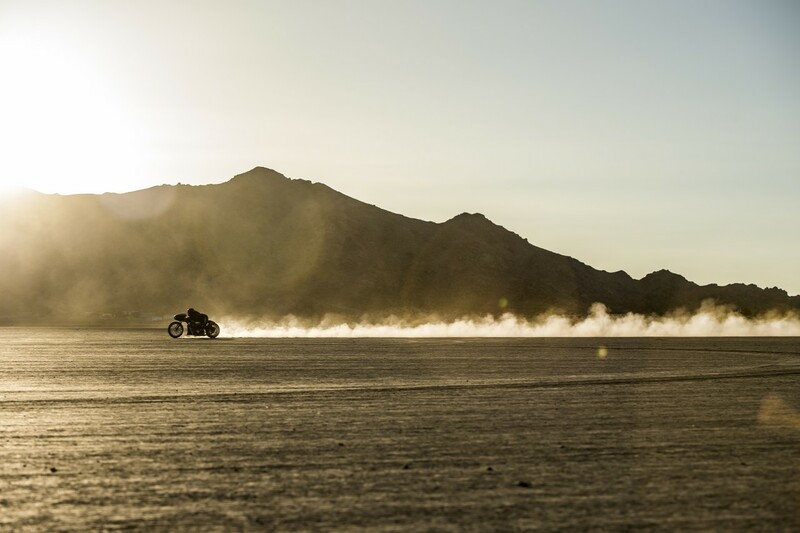 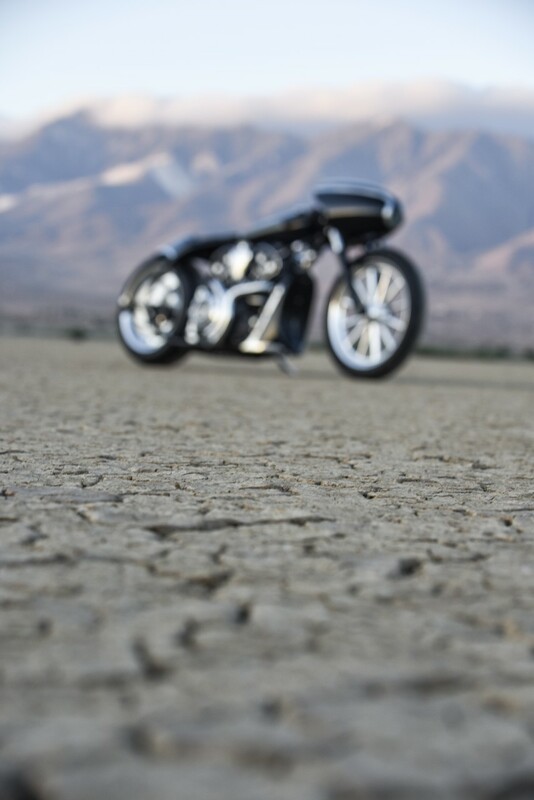 It was built to race and continue the tradition of an Indian Scout ripping across the Bonneville Salt Flats. 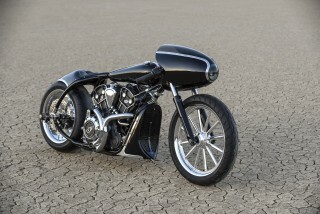 What was the inspiration for the build? 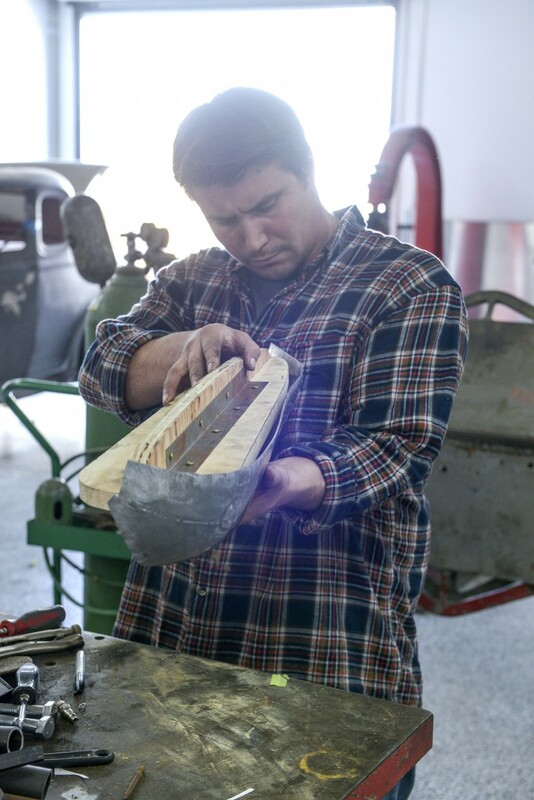 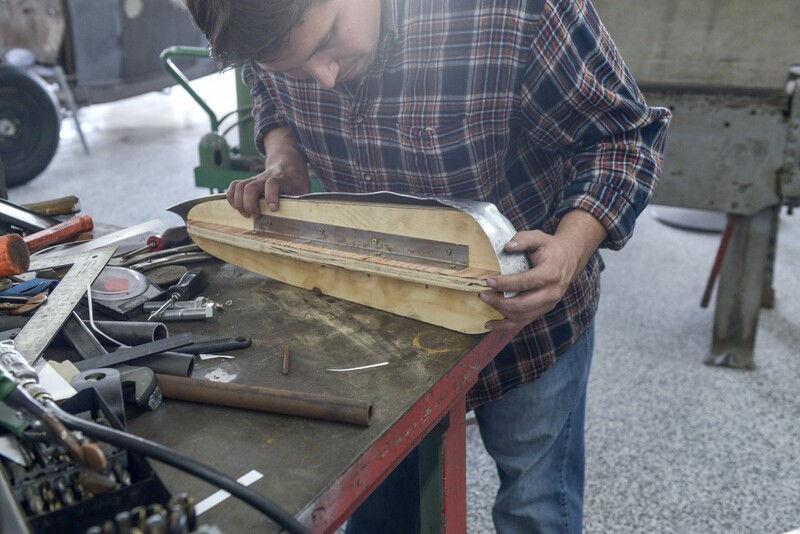 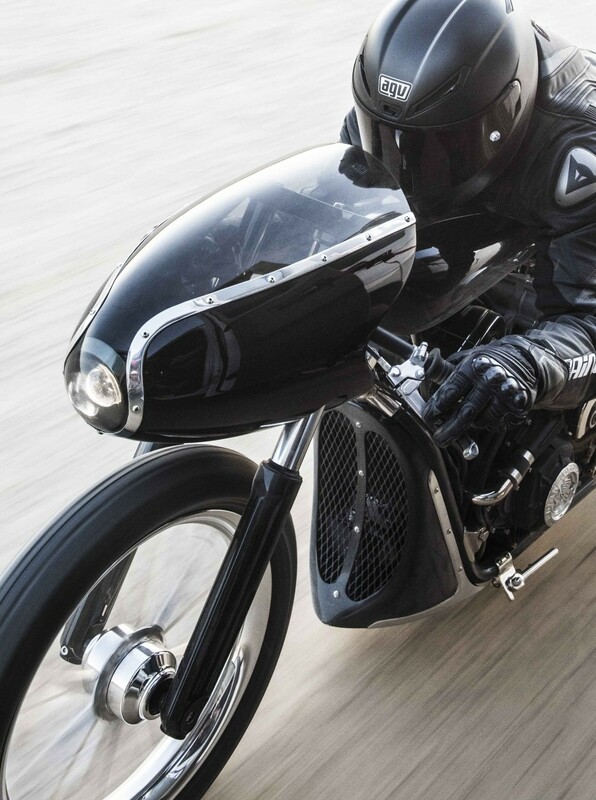 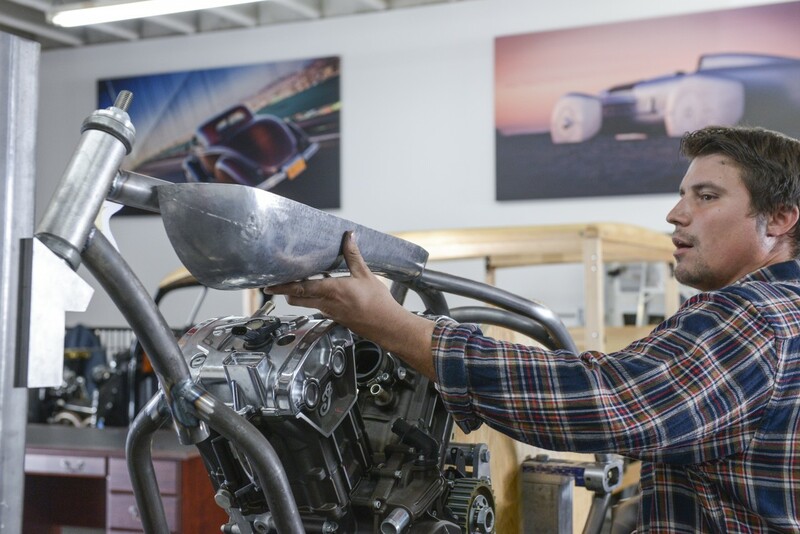 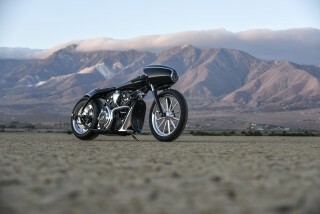 “The inspiration of the build was taken from the drag bikes of the 50s and 60s. 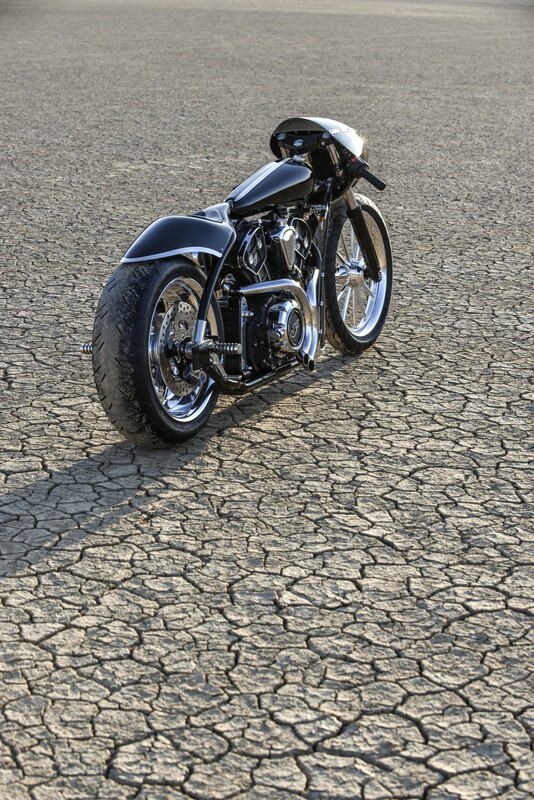 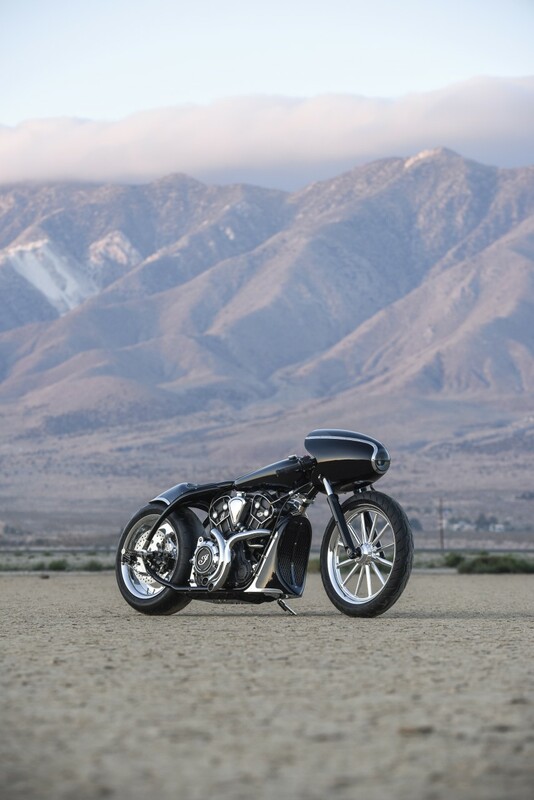 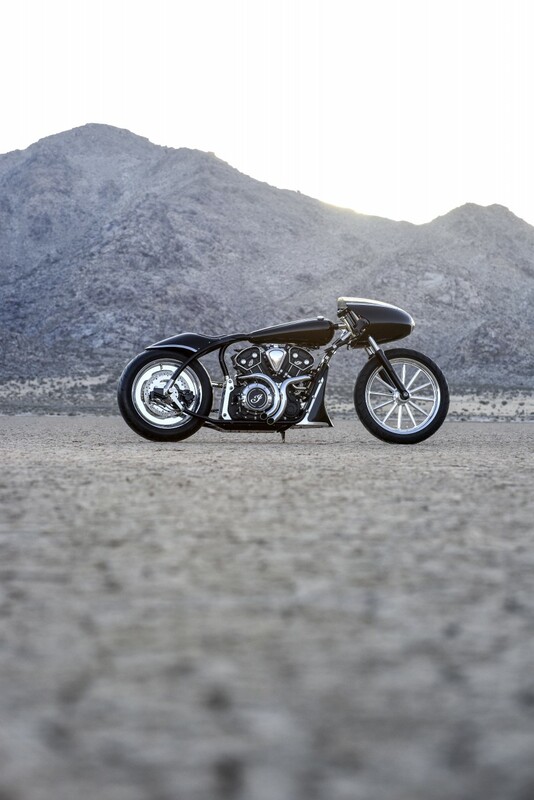 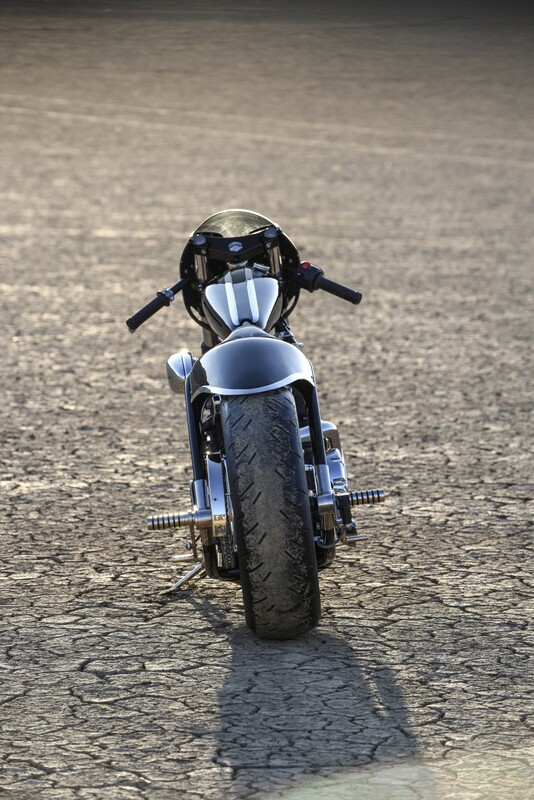 Iconic drag Bikes like Brutus and Icarus were a big influence on the overall shape and style. Is the final result exactly what you imagined? 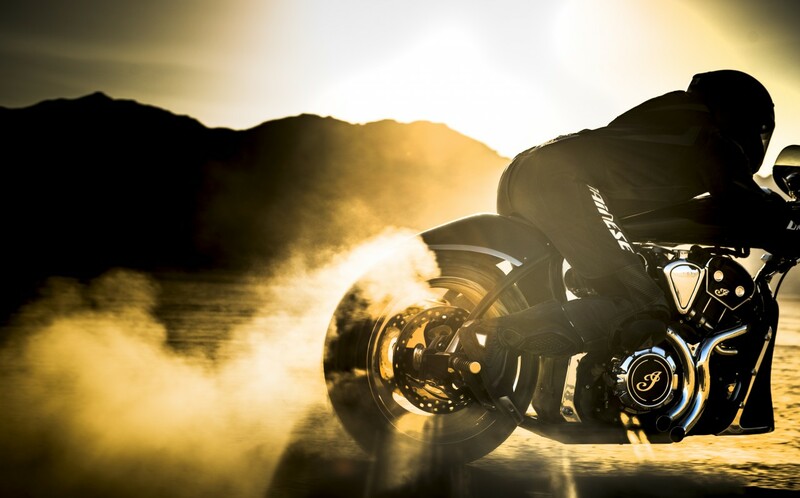 What’s your favourite feature of the bike? What was the hardest job to do and why? Any engine work done other than the changed air intake?